If you want one of the first limited edition 2014 Corvette C7’s you better be quick because Chevrolet will be building just a few. Chevrolet just announced today, they will be commemorating the impending launch of the all-new, seventh-generation Corvette with a 2014 Corvette Stingray Premiere Edition. 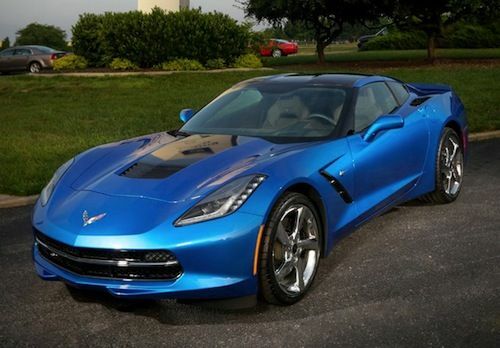 Get your order in quickly because there will only be 500 examples of the Laguna Blue C7 built. June, 30 is a very special day in the history of the Corvette as on this date in 1953, the very first Corvette rolled off the assembly line in Flint, Michigan. Now, 60 years later, Chevrolet marks the 60th anniversary of the Corvette with the introduction of the 2014 Corvette Stingray Premiere Edition. Today in Bowling Green, Kentucky, Chevrolet announced the limited-production model will feature a Laguna Blue Tintcoat exterior and Brownstone suede-wrapped interior trim, carbon-fiber interior packages, a “stinger” hood stripe, “Stingray”-logo interior sill plates and wheel caps, and custom Corvette branded luggage from Thule. Outside, the limited edition C7 will come equipped with unique features that will set it apart. It will feature a visible carbon fiber roof, variable tuned performance exhaust system, and Z51 Performance Package with Magnetic Selective Ride Control. They will all feature the formidable 6.2-liter 455 horsepower ZT1 V8 powerplant. Each owner can expect their Premier Edition model to come with a unique vehicle identification number, starting with 300001, as well as an exclusive dash plaque commemorating the ultra-exclusive model. The new C7 will surely become a collectors item and many will likely be stored away in private collections. Chevrolet did not announce pricing on the new limited edition model or exact delvery dates. But we do know production of the 2014 Corvette Stingray Coupe Premiere Edition 3LT models will be limited to 500, so you better hurry if you want one.